Small- and medium-sized enterprises (SMEs) expand into international markets either with brand names (OBM, original brand manufacturing) or without brand names (OEM, original equipment manufacturing). OEMs and OBMs have different core competitive advantages: OEMs offer low-cost production, while OBMs provide advanced design and branding (Lee et al. 2015). According to the resource-based view (RBV), brand name is an imperfectly imitable asset (e.g., Barney 2001) that enhances SMEs’ competitive advantages. While the international activities associated with OBMs and OEMs differ, the impact of brand names on internationalization is limited in the literature. 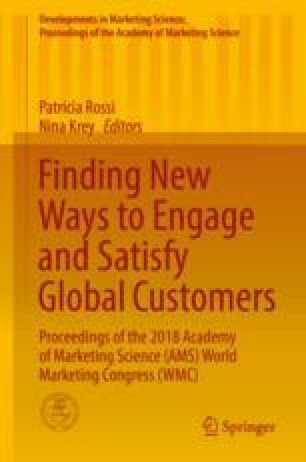 Built on the RBV, this study examined the differences between OBM and OEM in terms of SMEs’ commitment to marketing and technology, activities (speed, scale, and scope), and performance in international markets. The hypotheses were tested by examining SMEs in South Korea due to the ample existence of OEM and OBM among SMEs as a result of the country’s export-led global growth. A sampling frame of 3,000 manufacturing SMEs in exporting was developed based on a nationwide database taken from the Korea Chamber of Commerce and Industry. The final 395 useable questionnaires were completed by the executives contacted. Internationalization speed was operationalized using the elapsed time span between the year of the first international sales and the year of establishment. Scale and scope were operationalized by the number of countries entered and the number of continents entered, respectively. International performance was measured by export volume and the sales ratio in Asia over total sales in the previous year. The hierarchical logistic regression was adopted after firm size, firm age, and product type were controlled. The findings of this study showed that Korean small- and medium-sized OBMs invested more in technology and overseas marketing than did small- and medium-sized OEMs, thus reaping higher sales in Asia despite the smaller number of countries that they entered. However, internationalization speed, scope, and export volume did not differ between OBMs and OEMs. Overall, the results revealed the importance of branding for SME internationalization. As the findings of this study may be context-specific, future studies should therefore test the proposed hypotheses in other countries to clearly understand the implications of SME brand ownership for internationalization.